Hands down, resume writing is one of the best freelance writing jobs for beginners. For starters, it’s an easy way to get your foot in the door of paid writing assignments. It also sets up well either as a spare-time business or for full-time freelance writing employment. When you order The Pro Resume Writer Program, you’ll have everything you need to get started with your writing business helping job seekers. You’ll quickly learn the ins-and-outs of everything, from resumes to cover letters to social media profiles. Step-by-step information on how to quickly start and seamlessly run your own writing business. Even if you’ve never owned a business before, you’ll be an expert in no time. The Pro Resume Writer program takes away all the guesswork that can leave you sitting on the fence, wondering if you made the right decision. The detailed guidelines for writing resumes, cover letters, and social media profiles make the whole process fun, quick, and easy. And once you’ve mastered them, you’ll discover just how easy it can be to earn $100 an hour (though many top resume writers make much, much more!). 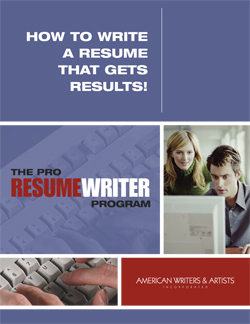 Now is a great time to add resume writing to your skill set and build your own part-time (or full-time) income. 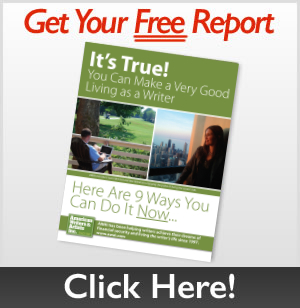 This is the perfect way to start, or to supplement your writing business. 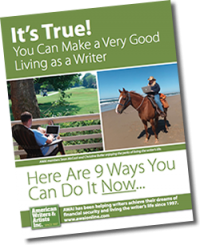 Make the choice now to begin living the life you’ve always dreamed about as a freelance home writer. And at the same time, help the thousands of people in your area that need a professional resume. Let Barefoot Writer help get you started today!